Having leverage is perhaps the most important thing in politics. Without leverage, all you have is a political analysis. Trying to engage in political struggle with an analysis but no leverage is like coming to a gunfight armed only with the truth. Good luck with that! Having leverage allows us to frame the national discussion and to pull forces to the left. How often are genuine progressives and radicals in a position where the major political parties are reacting to them? I think I can count the number in my lifetime on one hand. Now, here’s what not to do. Don’t make these occupations a “radicals only” space for fear of co-optation. Radicals never have and never will have sufficient numbers to go it alone. We have to muster the courage and smarts to be able to help forge and maintain alliances that we can influence but cannot fully control. That’s the nature of a broad populist alignment. Will some parties to this fragile populist alliance try to stab radicals in the back, throw us under the bus, and claim all the credit first chance they get? Likely so. The thing to do about that is to organize better, to make it so you can’t easily be disposed of &#151 because you are too connected to too many people who will throw down for you. That’s good organizing and that’s real politics. This is why I find Steve Horn’s piece at Truthout yesterday so unhelpful. 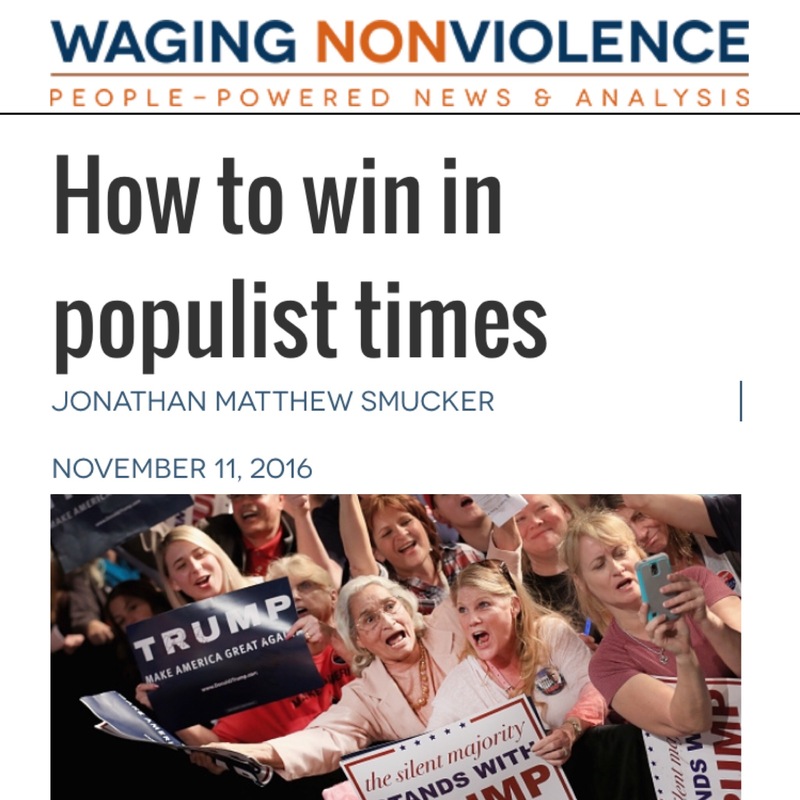 His article titled MoveOn.Org and Friends Attempt to Co-Opt Occupy Wall Street Movement argues that “the liberal class is working overtime to co-opt a burgeoning social justice movement.” First, I think the piece is unfair. I think that MoveOn and Van Jones are legitimately interested in doing whatever they can to support this movement, and I appreciate the capacity that they add. But even if you concede his main point&#151that liberals want to co-opt a more radical agenda&#151so what? Sure, let’s not have any illusions here, but does Horn seriously not want to involve liberals in this effort? Do any progressives and radicals seriously think we will be able to achieve the kind of change we imagine without engaging large member organizations that aren’t as radical as us? This isn’t a moment to draw rigid lines. It’s a moment to beat the crap out of Wall Street, and to encourage as many people as possible&#151including people we may not particularly like&#151to do the same. Previous PostOccupy Wall Street Is You. Next PostWhat a day at #OccupyWallStreet!